This card is perfect for the special Boo in your life! 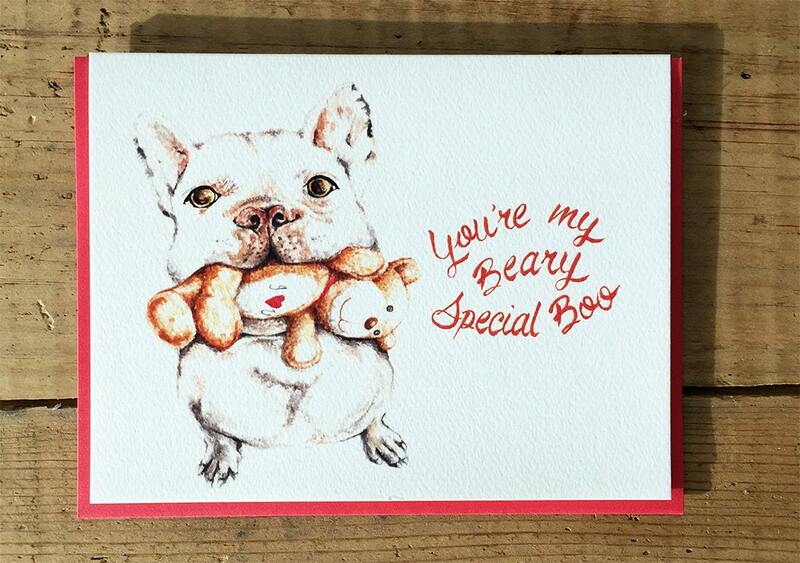 Great Valentine's day card for your significant other - afterall, who can resist a cute puppy holding the sweetest teddy bear? - Ruby red color envelope from Ashley Announcements.